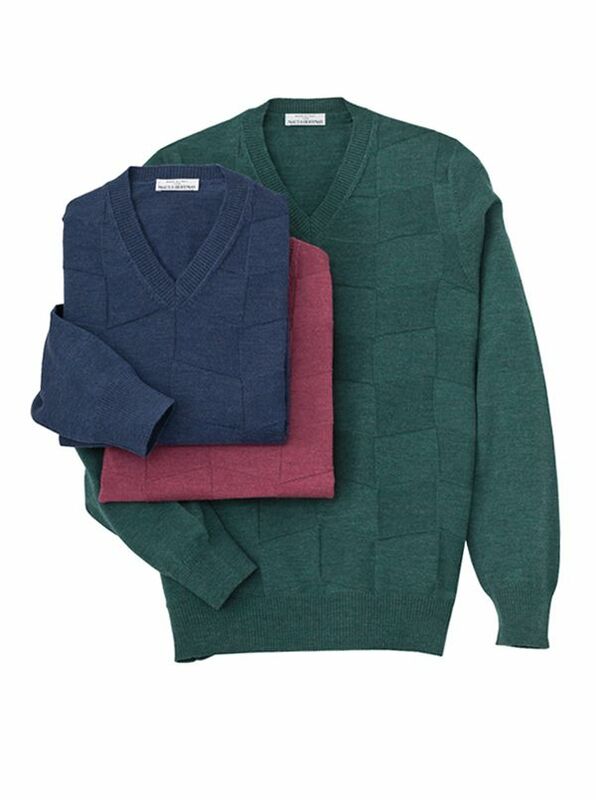 Paolo Tonal Parquet V-Necks are knitted in Italy of lightweight merino wool. With the versatility of a solid and the interest of a jacquard pattern these pullovers will be a mainstay of your wardrobe. With ribbed collar cuffs and waist.